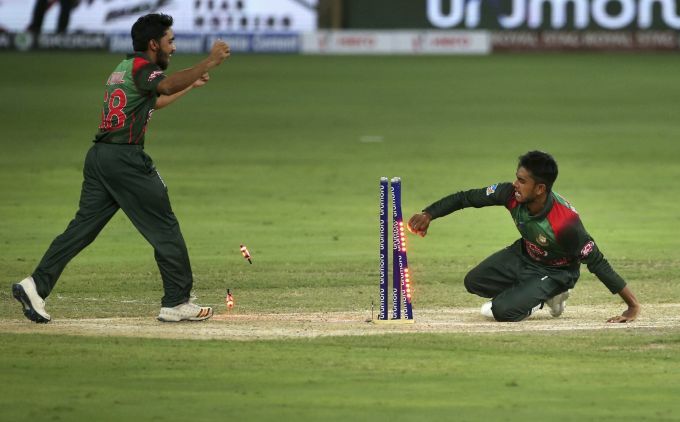 Dubai: Bangladesh's Mehidy Hasan, right, breaks the stumps to run-out Sri Lanka's Dasun Shanaka during the one day international cricket match of Asia Cup between Sri Lanka and Bangladesh in Dubai, United Arab Emirates, Saturday, Sept. 15, 2018. 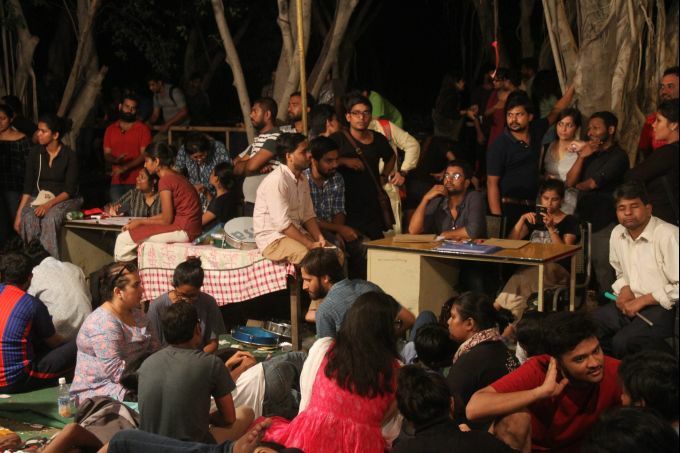 New Delhi: Students at in front of Counting centre in JNU campus before JNU election result 2018, in New Delhi, Saturday, Sept. 15, 2018. 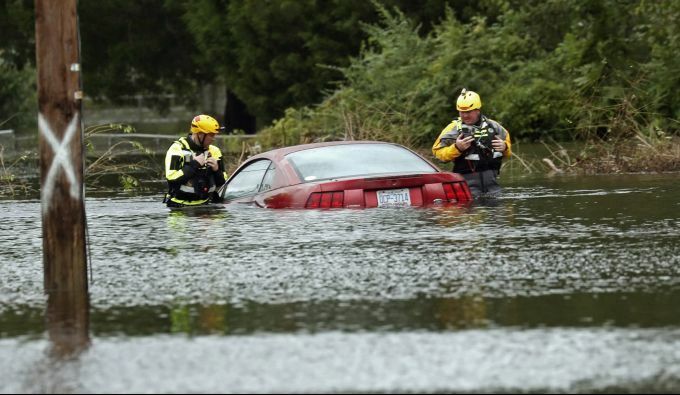 New Bern: Members of a swift water rescue team check a submerged vehicle stranded by floodwaters caused by the tropical storm Florence in New Bern, N.C., on Saturday Sept. 15, 2018. 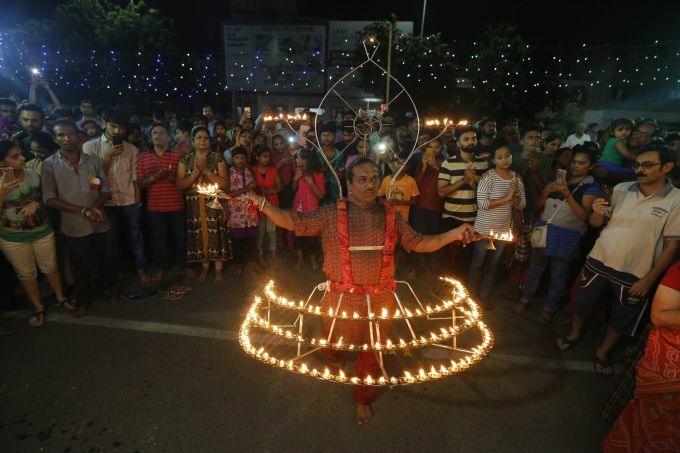 Ahmadabad: An Indian man Rajnikant Pandya, 42, wears a framed costume decorated by dozens of oil lamps and performs rituals of Aarti during the Ganesh festival in Ahmadabad, India, Saturday, Sept. 15, 2018. The 10-day long Ganesh festival began Thursday and ends with the immersion of Ganesha idols in water bodies on the final day. 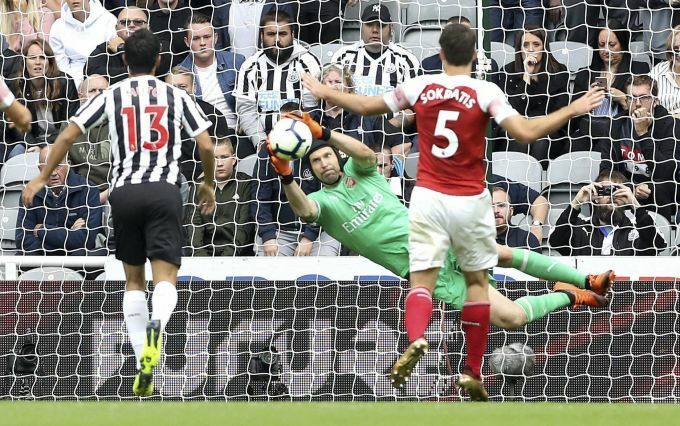 Newcastle : Arsenal goalkeeper Petr Cech, centre, saves an attempt on goal, during the English Premier League soccer match between Newcastle United and Arsenal at St James' Park, in Newcastle, England, Saturday, Sept. 15, 2018. 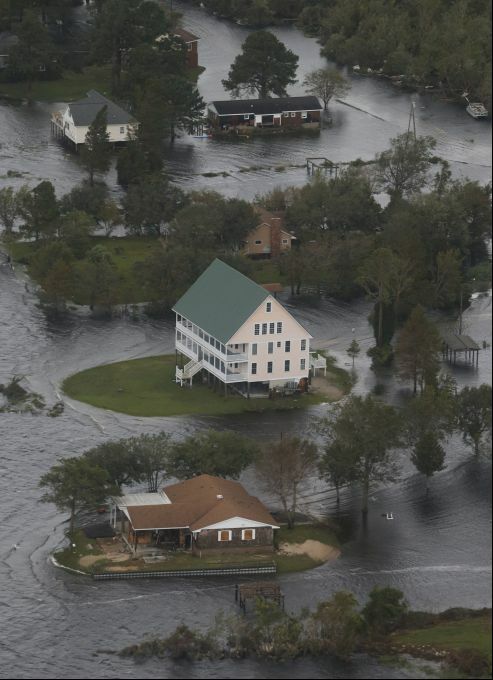 Neww Bern : Houses are surrounded by water from Florence, now a tropical storm, in New Bern, NC., Saturday, Sept. 15, 2018.